Braden being physically restrained is killing me. I also thought Braden being held in place was funny. And I really like his shirt. Yep, it may be my favorite thing I've ever bought for them! Oh I agree about the shirt! That was almost my comment too! I can't seem to keep my kids away from the babe. To be honest there are times I think it would be easier if they didn't show SOOOOO much interest in Emme ...they constantly have to touch and hold her and sometimes finding Charlie sneaking into her bedroom to peek at her can be a bit unnerving!!! I assumed it was because I had boys they showed no interest... But that ruins that theory! Seem where in the middle would be nice... 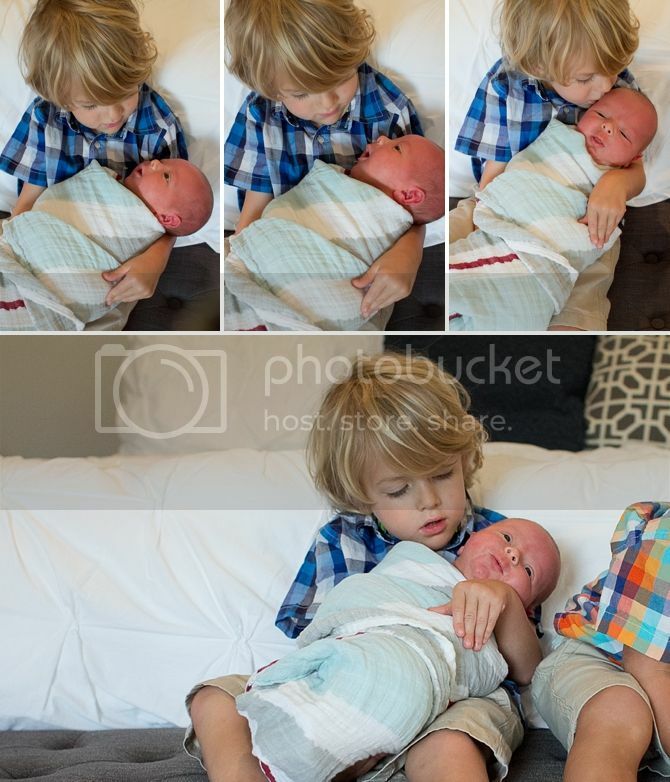 I like that Keaton is safe, but it would be nice if his brothers showed a little interest! 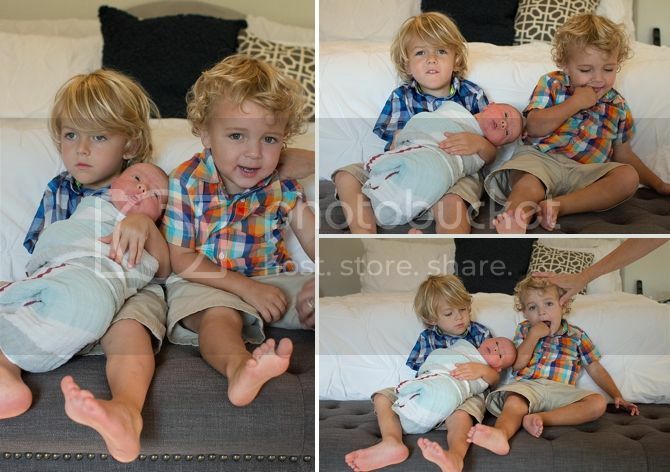 Is it just me, or does Keaton look slightly concerned for his well-being in some of the pics where Finley is holding him? You all are too cute, btw. 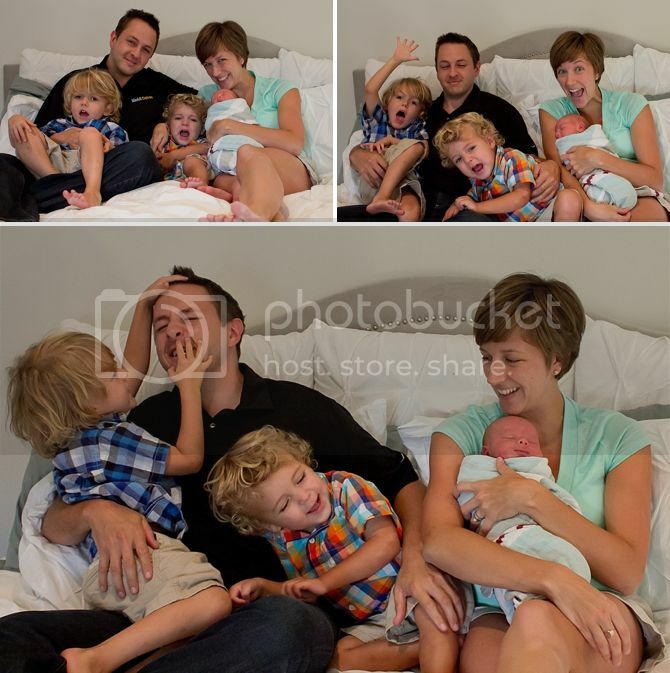 Love the REAL photos.